Modineer has been supplying quality metal components and assemblies to the military vehicle market for more than four decades. Unlike other industries, where the requirements and expectations are very similar from market to market, doing business with military OEMs is unique. From understanding the verbiage to maintaining certifications, Modineer’s experience in supplying military parts is vast. This background will allow us to move efficiently through all necessary steps to meet your supplier requirements. Moreover, we understand the stringent expectations of quality demanded by this industry. Modineer is fully equipped to manage all your component assembly requirements. 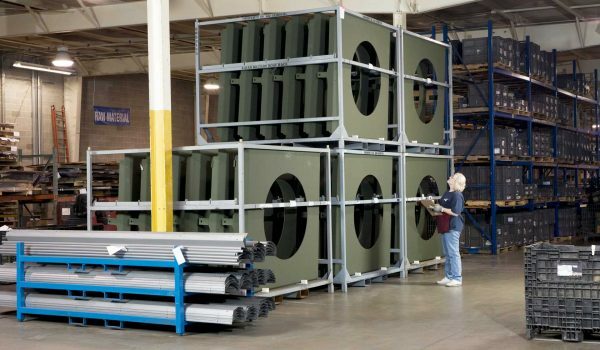 We are experienced in working with high strength steel, aluminum, armor plate, and composite armor requirements. Our experience encompasses buying certified armor material form the mill or manufacturer, maintaining all documentation of inspection and testing through the production of the completed components, and CARC painting using our certified CARC paint line. Modineer offers a complete one-stop shop that delivers to your production line or service center. Modineer is classified as a small business and has established strategic partnerships to maximize your sourcing options. In today’s environment, we realize that you are often forced to balance the desire to place your business with your optimal supply option, while simultaneously pursuing government requirements for small business. Modineer had developed strategic partnerships with Mintech, LLC (a minority & women-owned business) and PMI (service disabled veteran-owned business). Modineer can offer you all the advantages of working with a world-class supplier, while also satisfying these government initiatives.